Last week, it came to light that Verizon was notifying around 8,500 customers in rural areas—many of them on unlimited plans—that their service would be canceled because the telecom giant wasn’t making enough money from them. Today, Verizon backed off that plan... sort of. Back in 2010, Verizon partnered with 21 regional wireless carriers to bring its 4G LTE services to over 2.6 million people that would otherwise be underserved. Verizon characterized its end of the bargain as providing “technical support and resources,” to these smaller carriers. 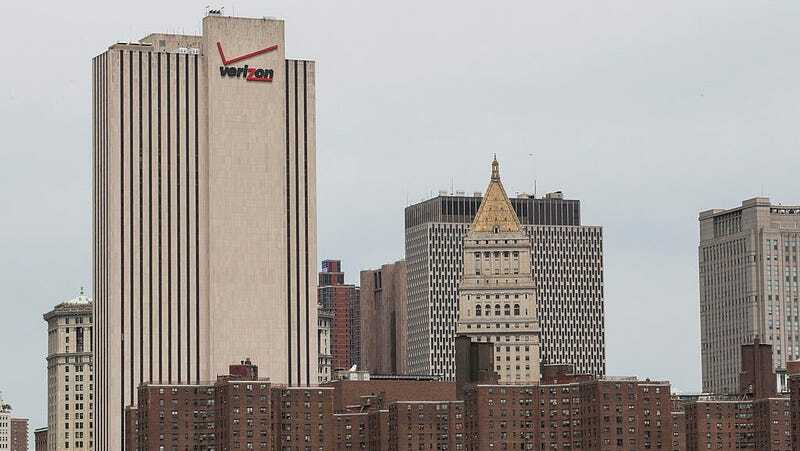 Customers were able to avoid roaming charges because they were under the vast umbrella of Verizon, and smaller companies were encouraged to expand their infrastructure. The deal worked out for everyone until Verizon decided it didn’t like some of the roaming charges that it was having to pay out to the regional carriers. Because the customers are technically under Verizon’s service, they don’t even know when they’re roaming. Verizon told Ars Technica that the customers being cut off “are using vast amounts of data—some as much as a terabyte or more a month—outside of our network footprint.” But Ars found that at least some customers were only using a few gigs of data a month and were still being told the roaming portion of their usage was too “significant” to continue service. Thirteen states in total are being affected by Verizon’s decision, including Montana, where Senator Jon Tester took notice and sent out an angry letter to the telecom demanding answers. Tester explained to Verizon that rural citizens deserve wireless service just like the customers that pump millions into the company from more populous regions. He also took issue with the short notice that Verizon provided and the news that emergency workers were being affected by the cancellation. Today, Tester’s office announced that Verizon had decided not to go forward with its plans and “the company will continue to serve Montanans and will not terminate the service of rural customers.” That’s not exactly what Verizon told Gizmodo. A spokesperson for the telecom outlined the change of plans to us in an email. They said that “we have become aware of a very small number of affected customers who may be using their personal phones in their roles as first responders and another small group who may not have another option for wireless service.” In response to this information, Verizon has decided to extend the deadline for service cancellation to December 1st. First responders will be exempt. But if you’re not a first responder, you’ll have to find another provider. For those who have no access to other providers, Verizon will still provide coverage but under one of three new plans: S (2GB), M (4GB), 5GB single-line, or L (8GB) Verizon plan, with prices ranging from $35 to $70 a month, plus a $20 “line fee” per line. Unlimited plans are out completely. We will continue to regularly review the viability of accounts of customers who live outside of the Verizon network. Supporting these roaming customers can often be economically challenging, especially supporting those on plans with unlimited data or other high data plans. However, we are continuing to look for ways to support existing roaming customers with LTE service. This is a perfect demonstration of the screwed up state of the US network structure. Telecoms are simultaneously consolidating and agreeing to stay out of each other’s way. They know it’s better to have a monopoly in certain areas than to have to fight it out with each other everywhere. In the latest round, T-Mobile and Sprint are reportedly close to reaching a merger deal. With fewer options, you have no bargaining power for leaving a service, and for some, no options at all.